The U.S. Conn Library renovation project began in 2014 and is scheduled to be completed in 2017. 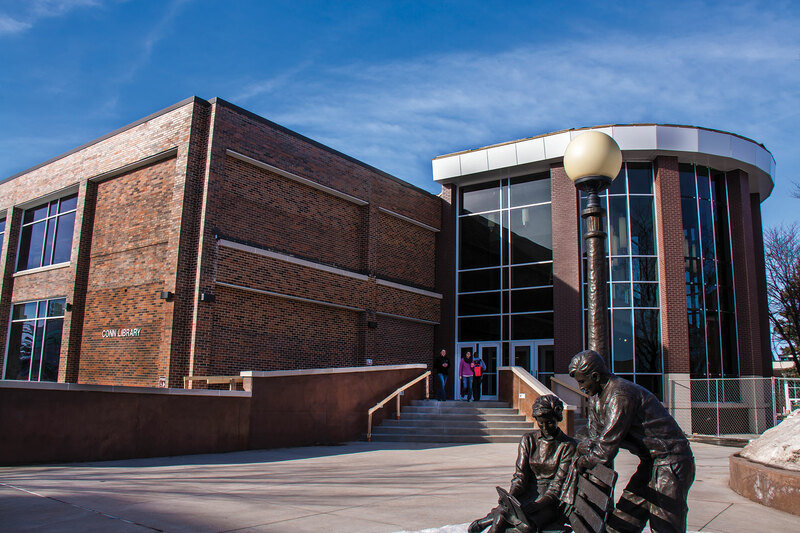 Library renovations are more than half done with only two phases yet to be completed. The college has surpassed the halfway point on the U.S. Conn Library renovations. Construction started during the spring of 2014 and has moved at a steady pace ever since. Students and staff are already using remodeled spaces in the basement and first floor. Efficient compact shelving now holds the majority of our book collection. Students and staff have been enjoying coffee and frozen yogurt at the new Jitters since the fall, and in January the grand main entrance was opened for the first time. Two phases of renovations remain to be completed, primarily on the east side and south side of the building. These remaining phases will provide new homes for the Holland Academic Success Center, the Teaching and Learning with Technology Center, and the WSC Archives. Wayne State remains on track to finish the project by summer 2017.